Mitch's Surf Shop SOFT TOP CAP, 100% cotton construction. Non-rigid crown in a soft cotton 6-panel design. 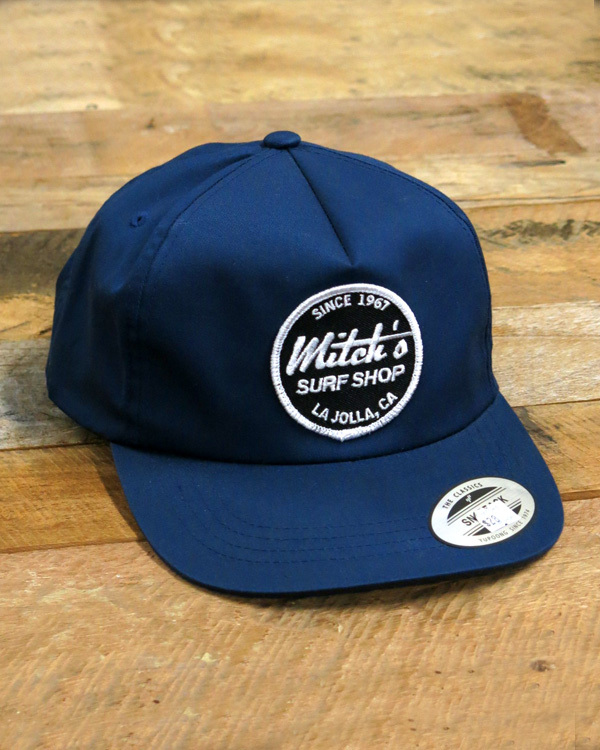 Adjustable snapback, circle "Since 1967, Mitch's Surf Shop, La Jolla CA" logo patch.